Celebrating Scotland’s Glorious Wildlife – Happy World Wildlife Day! March 3rd has been designated as World Wildlife Day by the United Nations General Assembly. Its purpose is to both celebrate, and raise awareness of, our wonderful flora and fauna, and the date is the anniversary of the Convention on International Trade in Endangered Species of Wild Fauna and Flora (CITES) in 1973. Our increasing human population and its demands on fragile ecosystems and their non-human inhabitants can make for very depressing reading. But here at Wood Elf Towers we have decided to celebrate the fabulous diversity of wildlife that we have here in Scotland, and we’d like to share it with everyone too, so we hope you enjoy the photos! 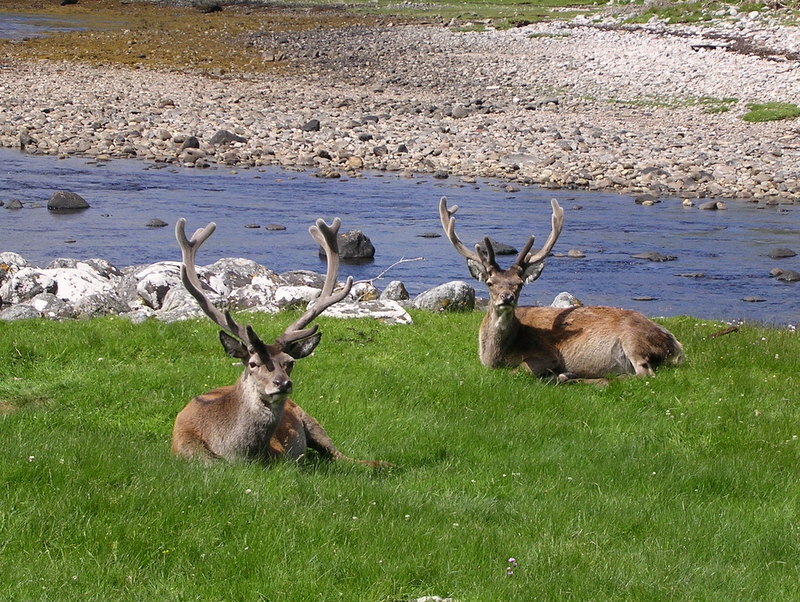 These two fabulous stags were photographed on a lovely June day in Arnisdale on the west coast of Scotland, an area more commonly associated with Gavin Maxwell of Ring of Bright Water fame. About 350,000 Red deer live in Scotland, and it is the country’s largest land mammal. Males, identified by their impressive antlers as on this photograph, weigh around 190kg, whilst females are slightly lighter at 120kg. They can live for up to 18 years. Originally Red deer lived in and on the edge of woodlands, but with increasing habitat losses, red deer have now adapted to open hillsides. 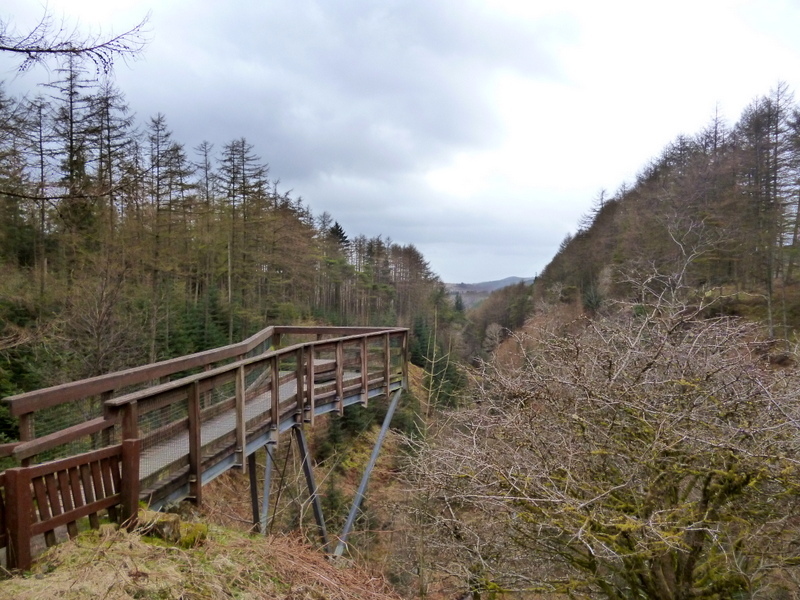 There’s more about Red deer in this Forestry Commission article. The Common Spotted Orchid Dactylorhiza ssps. This lovely flower can be seen frequently in boggy areas, by streams and in mountain areas flowering from June – August. It is varies hugely in colour and height, and is generally anything from pale pink to deep lilac. There are two very similar species, D. fuchsia and D. maculata, the major distinguishing feature being the whether they are growing on acidic or alkali soils. This photo was taken on the west coast of Scotland which has predominantly (though not exclusively!) peaty, acidic soils. 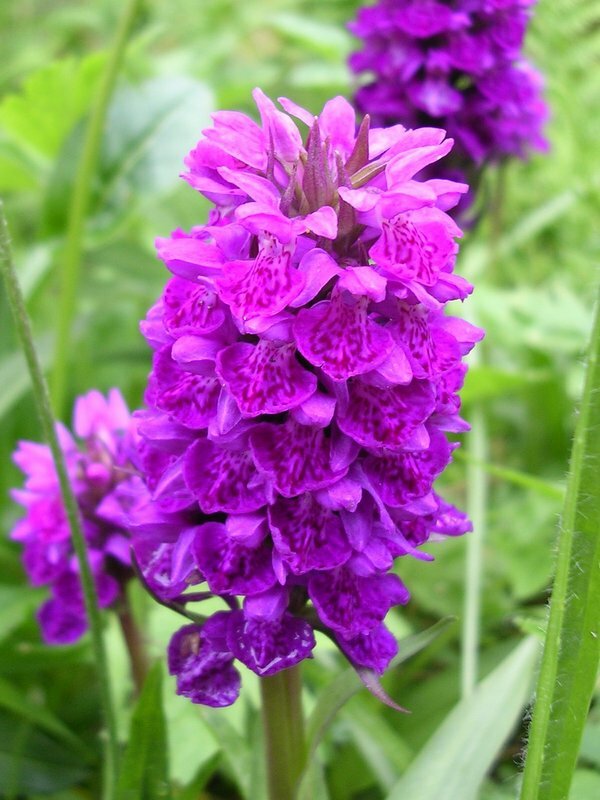 You can read more about Common spotted orchids at this website. 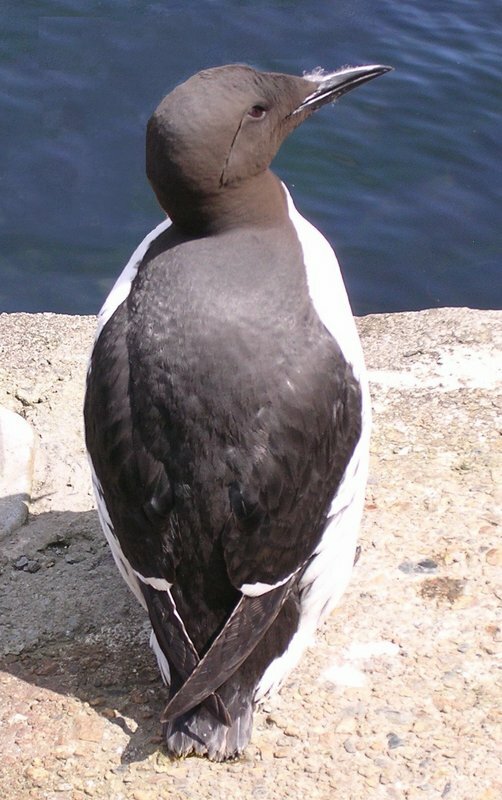 The guillemot is a sociable bird, living in huge seabird cities on sheer cliff faces, like those that are found on the west coast of Scotland. However there is concern over falling numbers, and the guillemot has been awarded an ‘amber’ conservation status by the RSPB. This guillemot is probably a juvenile, judging by the down around its beak; it was spotted on the pier steps at Portree on the Isle of Skye, probably having been washed up there after heavy storms. It seemed to like the steep concrete steps and didn’t seem too bothered by me photographing it! Our underwater environment is a truly spectacular, colourful and jaw-droppingly amazing place. It urgently deserves a lot more protection and appreciation than we currently give it (but that’s for another blog post!). As a scuba diver exploring Scottish waters, I was frequently asked by curious passers-by exactly why I was diving (for fun) in murky, grey, freezing cold seas. Well, perhaps this photo tells you why. 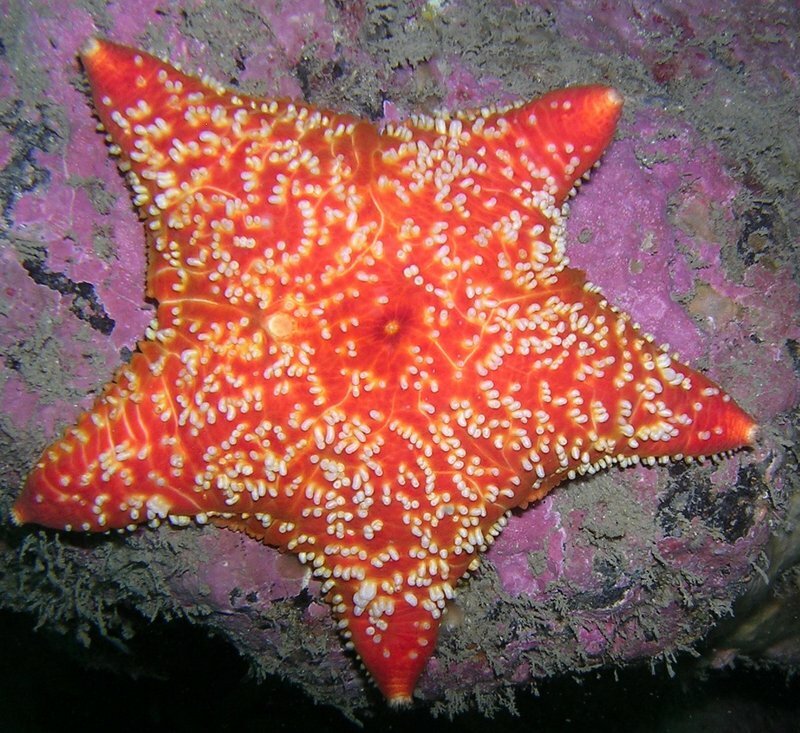 The cushion starfish is not particularly rare, in fact it is particularly abundant in Scottish waters. But it is a fine example of the technicolour glory of our underwater environment! 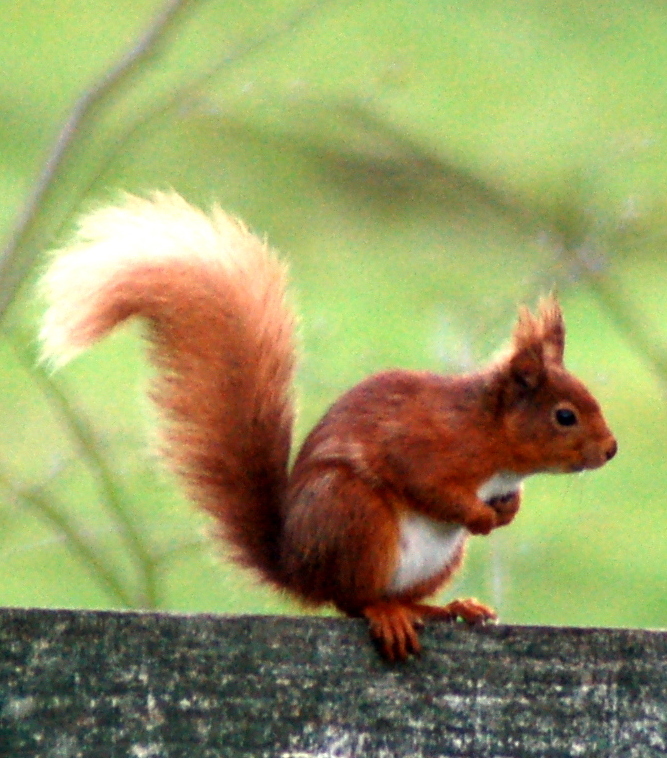 After centuries of persecution by bounty hunters, habitat loss, and now squirrel pox and competition from grey squirrels, the recent come-back of the red squirrel in parts of Scotland is a result of some great conservation work by Scottish Wildlife Trust (SWT), Scottish Natural Heritage (SNH), Forestry Commission Scotland (FCS) and the Scottish Land and Estates (SLE), who launched Saving Scotland’s Red Squirrels (SSRS) in 2009, a partnership project to take action to save Scotland’s red squirrels. We are lucky here in SW Scotland to have a thriving population of red squirrels, frequent visitors to our garden to raid the squirrel box for seeds and then bury them all in the lawn! We also help with surveying and monitoring local woodlands for red squirrel populations too. See more about this wonderful project at the Saving Scotland’s Red Squirrels web site. So as you can see, although there’s a lot to worry about, there’s plenty to celebrate on World Wildlife Day! 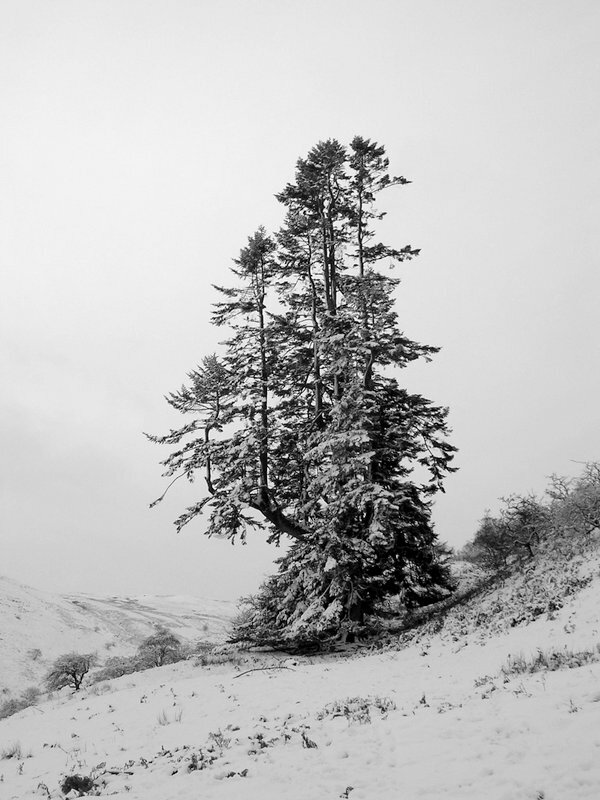 There is something rather ethereal and fantastical about snow-covered trees. I don’t know if it’s the stark monochrome contrast, or the fact that a coat of snow means we lose the ‘fussiness’ of a view and maximises the architectural grace of trees. Whatever it is, I love photographing those bare winter branches glistening with snow against a clear blue sky– or, more likely here in south west Scotland, against a grey and rather bleak horizon as these two photos illustrate. 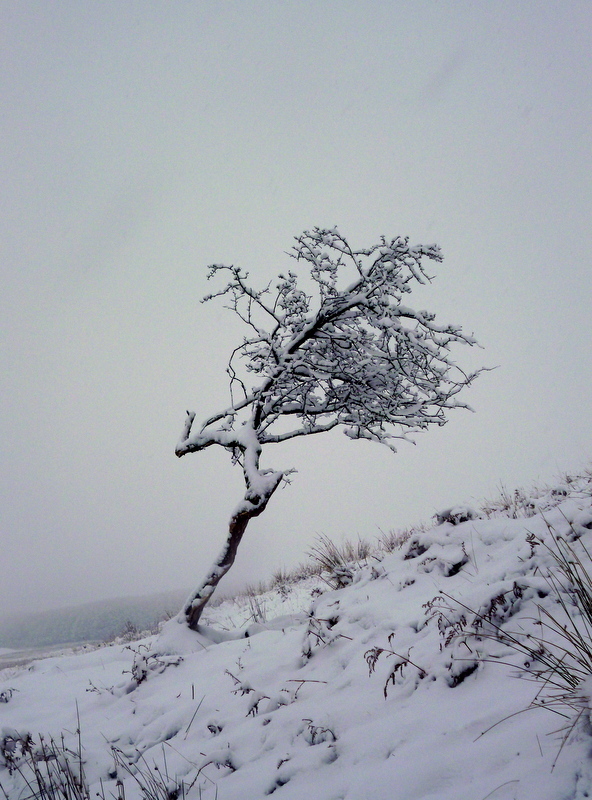 Freezing snow can do some amazing things to trees though – have a look at this web site with its amazing tree sculptures in the snow. Not sure if we’ll ever get conditions quite like that in this corner of the world! Just off the busy and constantly buzzing M74, the main artery from Scotland to England, is one of the most magical and peaceful woodlands in the UK. Steeped in history, this ancient wood is a cluster of centuries-old sessile oaks (Quercus petraea), a remnant of woodland from an age long before the crawling queues of HGVs thundered by their borders. 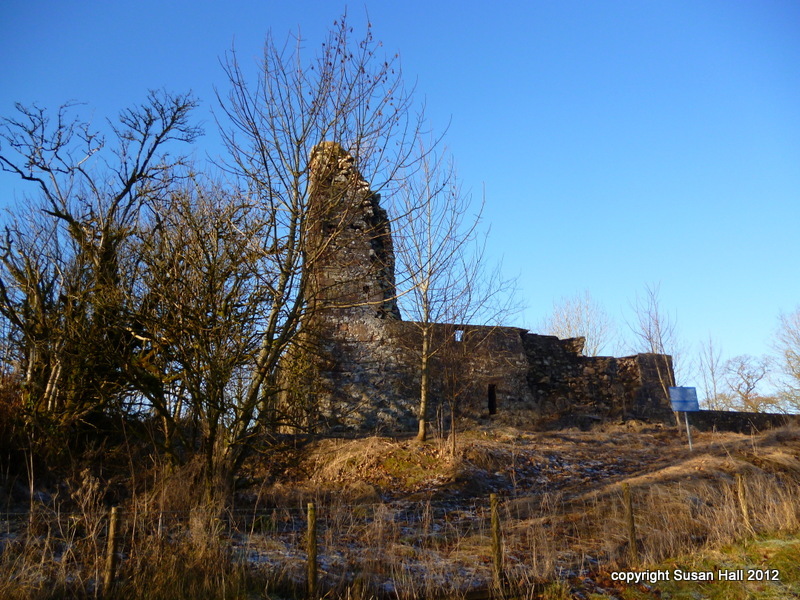 On the southern edge of the woods, Lochwood Tower, the now ruined home of the Clan Johnstone, is a silent witness to the turbulent history these trees will have observed through centuries of warfare with English troops and rival families, and there are recent reports of spooky and psychic activity at the Tower. 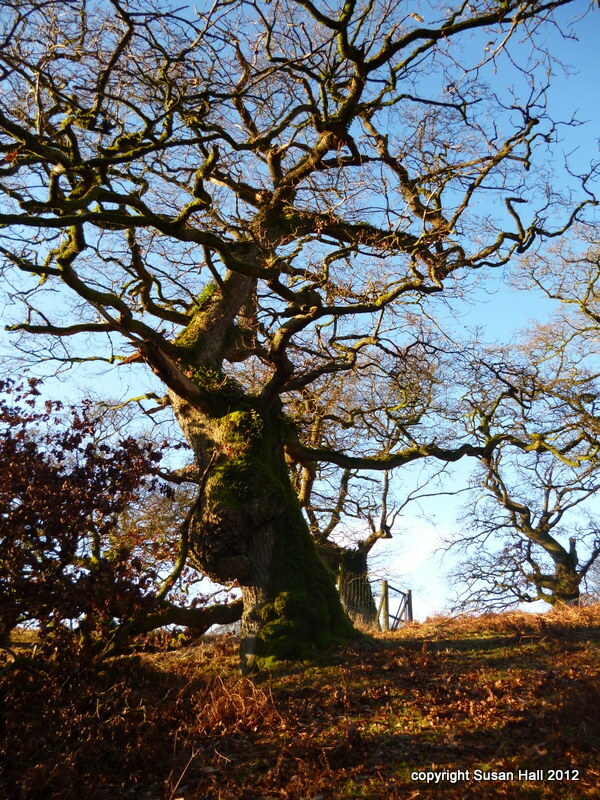 Veteran oaks grow on the slopes of an ancient Norman motte. Some of the trees here are estimated to be over 400 years old, and would have been just wee saplings when King James VI of Scotland took the road south to claim the English throne after the death of Elizabeth I.
Lochwood is now designated a Site of Special Scientific Interest (SSSI), as an example of Ancient Wood Pasture. In previous centuries the oaks were managed to produce wood for charcoal, fuel, tanning or construction, by a process of coppicing. As such it is a part of our cultural heritage too, a living record of how previous generations used and managed our native woods. 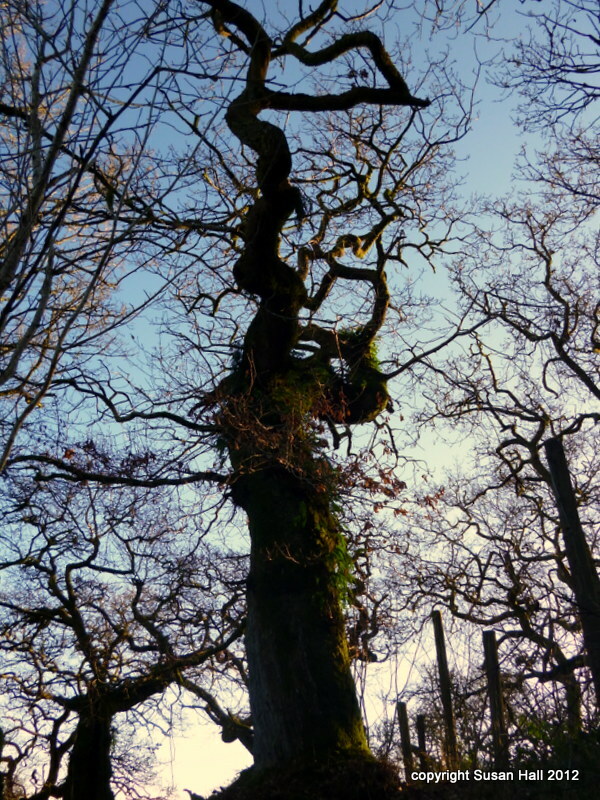 The subsequent neglect of the woodland from the 19th century onwards means that the once actively managed oaks have now developed fantastical and contorted shapes, huge bulges at their base, and often a hollow stem. These characteristics can make old trees remarkably stable and helps them to weather extreme storms which might blow down heavier, taller trees. Although most of the wood is in private ownership, and there is restricted access to the woodland, the quiet public road that runs through its heart is one of the best places to see the trees from. There is limited parking, and a small information board is the only indication of its scientific value. But it is really worth going to visit. 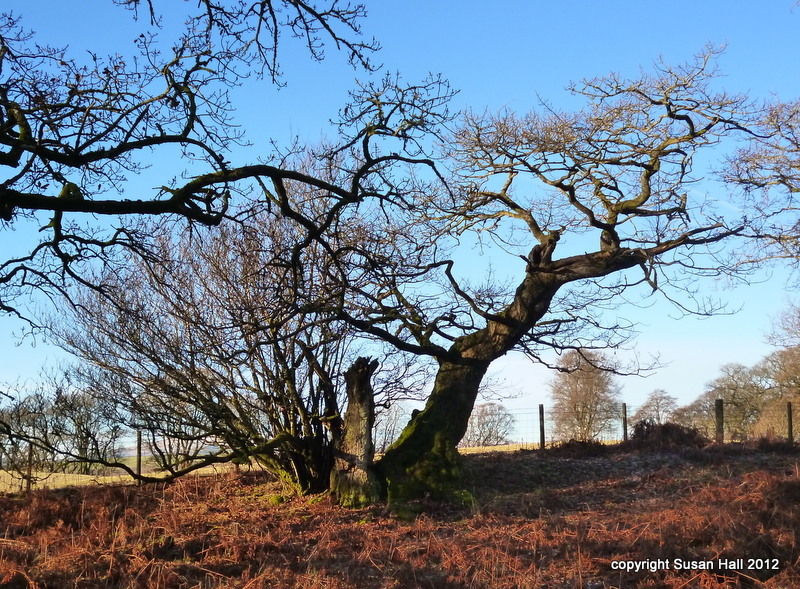 The ancient and veteran trees of Lochwood are also of huge importance for the rich biodiversity they support. Their trunks are cloaked in the dark green velvet of soft mosses, whilst ferns grow from their branches. They support a huge diversity of invertebrates, lichens, fungi, bats and bird life, whilst the open ‘candelabra’ shapes of the trees allows dappled light onto the woodland floor, allowing a rich variety of woodland plants, such as spring-time bluebells, to carpet the ground. We went on a wonderful winter day, when a sharp frost iced the crunchy leaves under our feet and the low winter sun illuminated the woods in a golden light. Fungi peeped through the fallen leaves in the shelter of the ancient tree trunks, and needles of frozen tree sap made weird ice sculptures on the forest floor. Outstretched naked branches showed off the contorted shapes of the ancient trees, dappled sunlight gilded the forest floor, and the ancient forest felt welcoming and airy and open, in stark contrast to the gloomy interiors of the dense darkness of nearby conifer plantations. This forest really is a delight for ecologists, environmentalists, historians and photographers, as well as anyone who just enjoys the sheer joy of magical places and absorbing the wonderful atmosphere. Ancient, or Veteran, trees can be identified by their relatively large girth for the species, hollow or hollowing trunk, and the presence of a large quantity of dead wood in the canopy, and these characteristics can be seen in almost all of Lochwood’s trees. Fuurther estimations of their ages were obtained in the 1970s, when Lochwood oaks played a critical role in developing the science of dendrochronology, or the study of tree rings. As a tree grows it adds a new tree or growth ring, which can be seen through the trunk when a tree is felled, or from cores taken from the trunk, as was done at Lochwood. The rate of growth of the tree rings is influenced by the prevailing climate and growth conditions at the time, and dendrochronology can provide a ‘fingerprint’ of information which can date the time at which tree rings were formed. The old oaks at Lochwood allowed scientists to construct sequence of tree ring information from 1571 to 1970. Dendrochronology has been of vital importance in areas such as climate change, archaeology to date old buildings and wooden artefacts, and radiocarbon dating, where it is used to calibrate carbon dating investigations. Don’t expect waymarked paths or easy parking at Lochwood. Lochwood is a tiny fragment of ancient woodland in private ownership and access is very limited. But it is a truly amazing and magical place, with such stories to tell for those who stand and listen. Lochwood is privately owned by the Earl of Annandale. 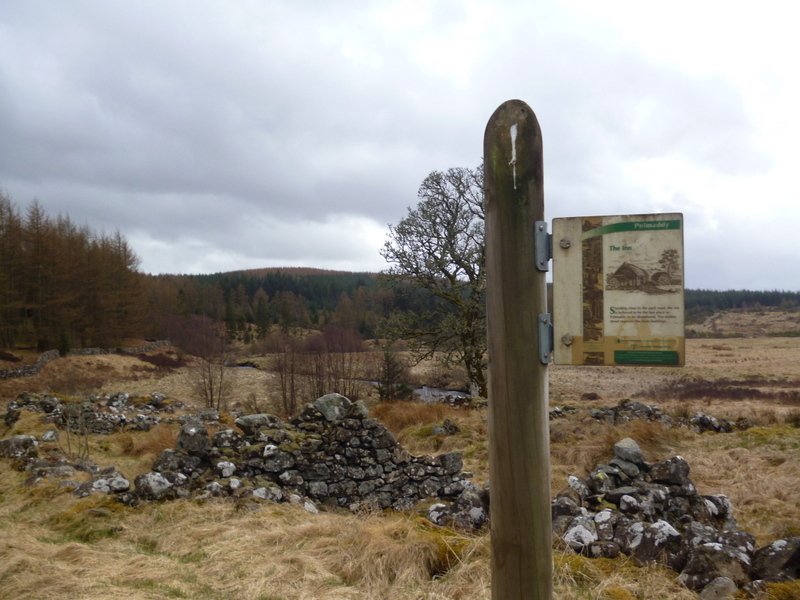 The forest is located just a few miles from Moffat, Dumfries and Galloway, at Grid ref: NY083970. For more information see the VistWoods website. 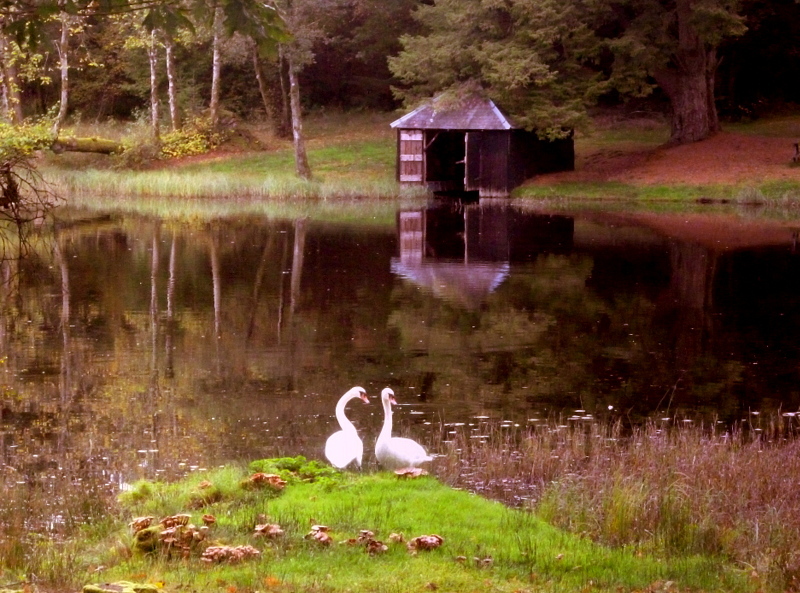 For more photos of this magical place, see our Gallery. How cute is this little fellow? Photo from the Guardian. 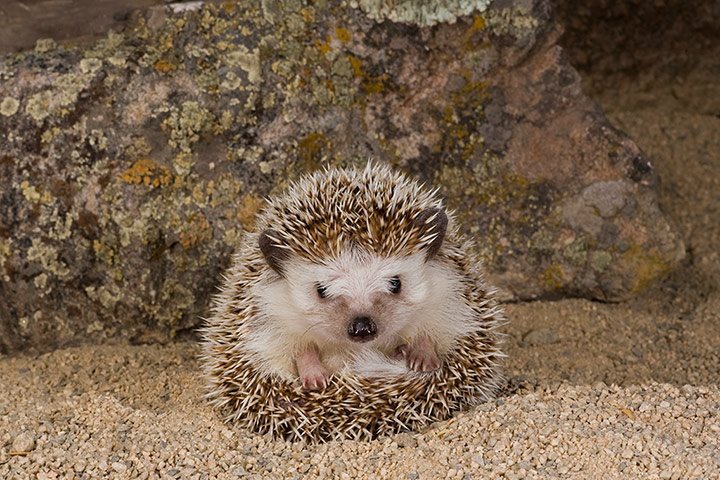 Hedgehogs (Erinaceus europaeus) are probably one of the UK’s cutest and most iconic woodland mammals, and often feature in some of our most popular literature – think Mrs Tiggywinkle, or the unfortunate ‘croquet balls’ in Alice in Wonderland. There’s also A Prickly Affair: The Charm of the Hedgehog, by Hugh Warwick which is a delightful account of the natural history of the hedgehog – although beware, it does contain accounts of hedgehogs as a roadkill delicacy. There’s a lot of folklore and myths surrounding the hedgepig too. Elizabethan farmers thought that hedgehogs suckled the milk from dairy cows, and there was a bounty of 3 pence per hedgehog caught. The Romans thought that the hedgehog could predict the start of Spring, whilst Asian cultures credited hedgehogs with great wisdom. Recently there was a huge public outcry surrounding the hunting of hedgehogs in the Hebridean island of the Uists and Benbecula. Not a native of these islands, hedgehogs were introduced in the seventies to help with slug control in island gardens. However it was considered that they were a threat to the local ground nesting wader bird populations, whose eggs the hedgehogs were eating. The resultant cull of the hedgehogs organised by SNH resulted in some very divided opinions about wildlife management on the islands. Hedgehogs are known as the ‘Gardener’s friend’ because of their love of slugs which they devour noisily. They hibernate in dens (‘hibernacula’) between November and March, and appreciate a thick bed of leaves, or a well made twig stack. However, our UK populations are in decline – numbers are diminishing, it is thought, because of increasing use of slug pellets in gardens, from death on our roads, and from loss of habitat. You can get more information from the British Hedgehog Preservation Society. And the Woodland Trust has a lovely hedgehog poster, with loads of facts, at its Nature Detectives site, where there are also loads of great hedgehog themed activities. There’s also a great hedgehog photo gallery over at the Guardian (from where this photo was copied), and some really gorgeous video at this BBC web site. 1st January 2013 – wow, that’s a bit scary, where did 2012 go? A year of ill-conceived and poorly thought through UK Government plans to sell off English forests, an increase in the spread of Phytopthera ramorum in conifers, and, of course, the potentially devastating outbreaks of ash die-back which threatens the heart of our native woodlands. But it doesn’t have to be all doom and gloom. If we all do a little bit to help raise the profile of our native woodlands, learn more about them, get our family and friends out into the woods too, then we can all help to protect and conserve our fabulous natural heritage. Here in SW Scotland, New Year’s Day has been one of rain and rainbows, sunshine and snow. We are hoping for some great winter days to explore our local woods and add them to the Visit Woods web site. So here at Wood Elf Towers we would like to wish you all a happy, healthy and peaceful 2013 and happy woodland wanderings!